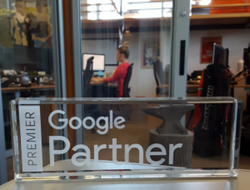 Measurable marketing agency, Anvil, is delighted to announce that the company has recently been awarded Google Premier Partner status, an honor only three percent of agencies receive. Only 3% of agencies are awarded Google Premier Partner status. Anvil is an award-winning measurable marketing firm with headquarters in Portland, OR that creatively solves business problems for purpose-driven companies. Anvil specializes in providing analytics, search engine optimization, paid media and social media marketing services. Clients include A-Dec, Advantis Credit Union, Cambia Health Solutions, NW Natural, Enjoy Life Foods, Moonstruck Chocolate and Oregon State University. For more information about Anvil, visit http://www.anvilmediainc.com.